An interactive web tool on How EU Law Becomes EEA Law, which provides a visual presentation of the legislative process behind the Agreement on the European Economic Area (EEA). Here you find the web tool in Icelandic. 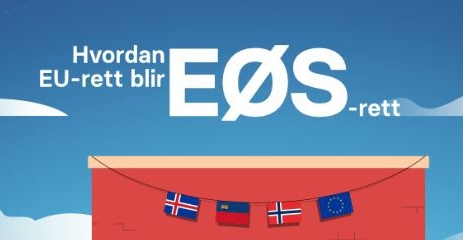 "Þannig verða ESB-reglur að EES-reglum." Here you find the web tool in Norwegian. "Hvordan EU-rett blir EØS-rett." Here you find the web tool in German. 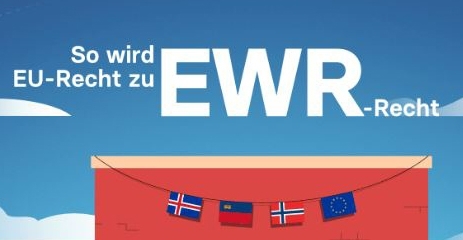 "So wird EU-Recht zu EWR-Recht." This video explains, in five steps, the legislative process behind the Agreement on the European Economic Area (EEA). This second edition of the Handbook on the EEA EFTA procedures for incorporating EU acts into the EEA Agreement reflects changes made following the 2016 review.